The Royal Society of Chemistry is located in Burlington House in central London, adjacent to the Royal Academy. 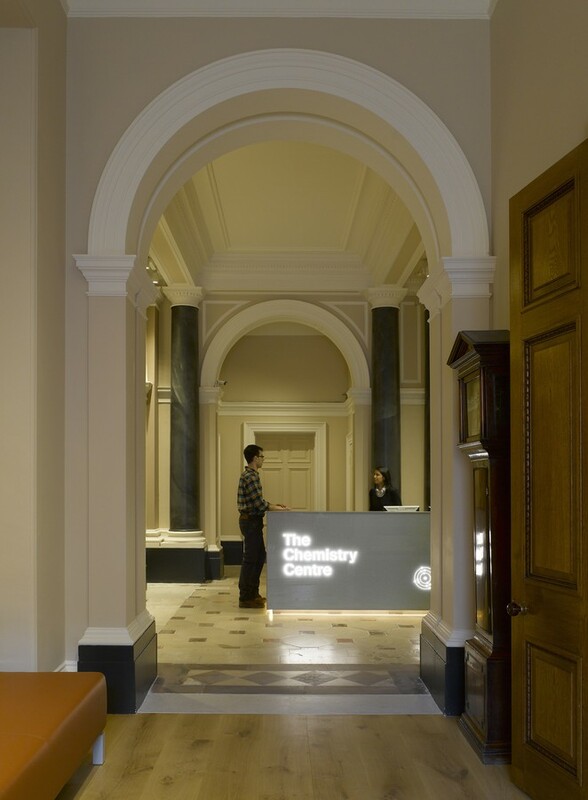 The courtyard buildings were designed in 1867 by Messrs Banks and Barry to house the Linnean, Antiquaries, Geological, Astronomical and Chemical Societies. The RSC was originally located next to the Great Archway onto Piccadilly and moved into its current premises in 1967. The buildings are Grade 2* listed. The role of the Burlington House premises is to provide a hub which reflects all aspects of the modern RSC. 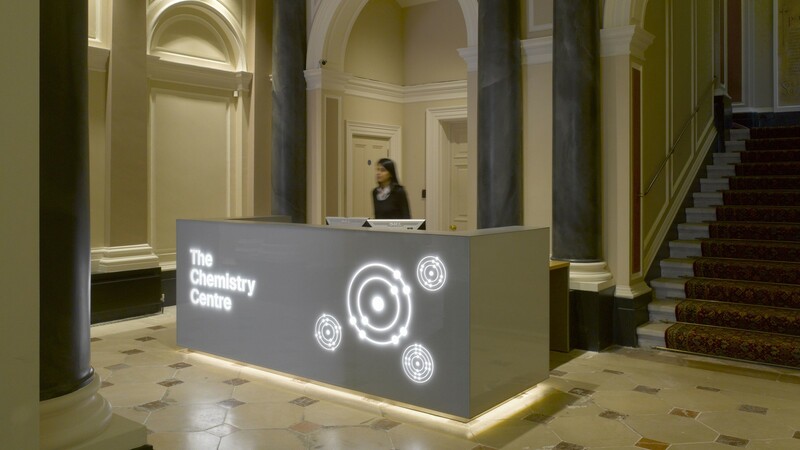 The RSC’s vision was to develop the Chemistry Centre as a unique space in the heart of London, celebrating the excitement of chemistry past, present and future. 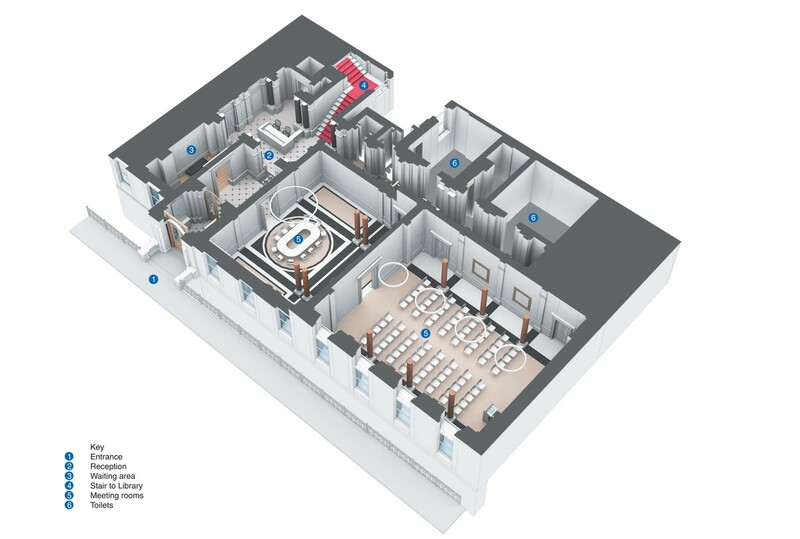 This would provide meeting spaces and facilities for members of the RSC, affiliated commercial clients and public events. Following a design competition, Hugh Broughton Architects were appointed to design the Chemistry Centre project, which included the provision of a welcoming and bright reception facilities for visitors and the refurbishment of the ground floor meeting rooms as a lecture theatre with state of the art lighting, audio-visual and video conferencing facilities. The scheme also required an increase of toilet provision to cope with larger events as well as the provision of local servery facilities to enable meals to be served in the meeting rooms. The interior has been designed to greatly improve the presentation of the historic fabric of the building. 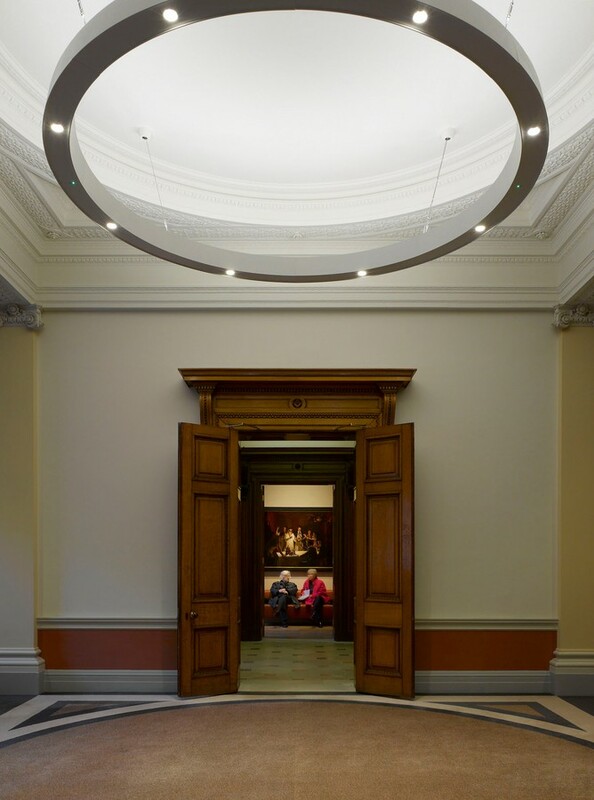 This has been achieved by adopting a ‘light touch’ approach to the design, working closely with English Heritage and Westminster Council Planning Department to elegantly integrate old and new. 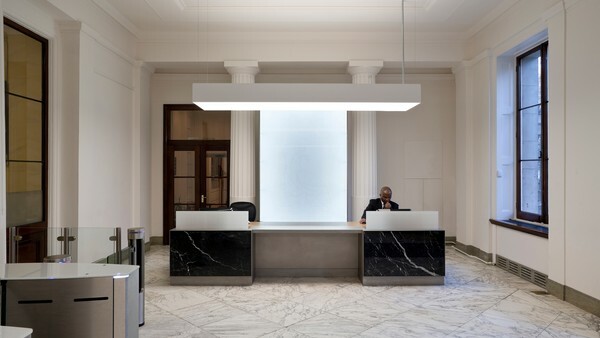 Recent poor quality lighting and clutter has been stripped away and new lighting and audio visual installations have been sensitively integrated with the original architectural detailing. The reception desk has been relocated to the Inner Hall to provide a generous space to welcome visitors. The bead blasted stainless steel desk, faced in white glass with back lit graphics, is an elegant but striking intervention which can be glimpsed from the courtyard outside. The small office behind has been stripped out and the space opened up to the Inner Hall to create a Waiting Area and improve circulation flow through the existing spaces. This also reinstated the central axis that links the principle meeting rooms and the reception area, with “Hope: The Chemist”, a painting by Stuart Luke Gatherer, hung on axis opposite the meeting room doors. The carpet, which was put down in the 1980’s, was removed and the original stone floor carefully restored. The harsh spot lighting was replaced with new light fittings to softly light the walls and ceilings and create a welcoming well lit calm environment. 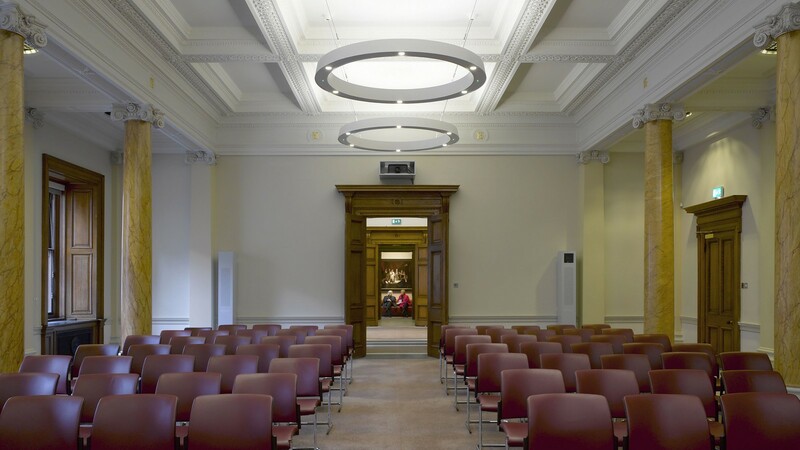 In the meeting rooms, the replica uplights were removed and new hanging light rings were installed to highlight the original plaster ceilings and provide lighting levels required for video conference and lectures. Services to the new lights, projector, lectern, speakers and cameras have been carefully concealed to ensure that the new installations sit comfortably within the original architecture of the rooms. The existing toilet areas and staff room were stripped out and reorganised to maximise toilet provision and improve disabled facilities. 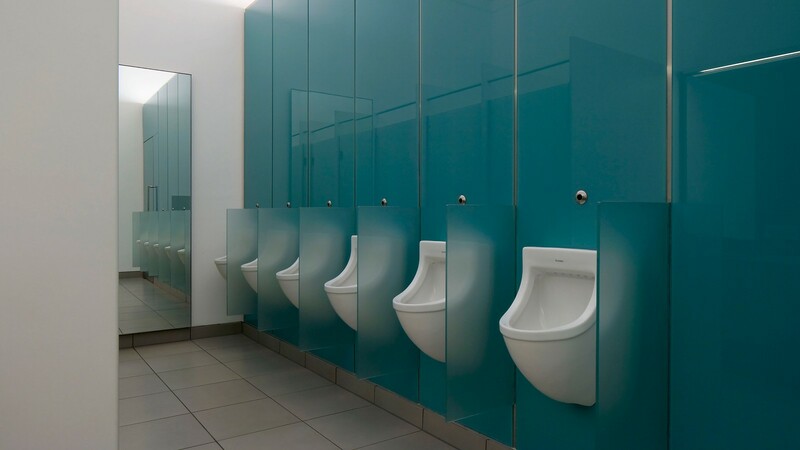 The toilets have been designed using a contemporary palette of materials including stainless steel, blue glass doors and walls, and Italian basalt vanity tops. These combine to create high quality well lit spaces to further support the forward looking nature of the RSC.